As a parent it’s really tough to see your small child trying to deal with such a big thing as anxiety isn’t it? Doodlebug struggles so much that it makes my heart ache for her. She is just far too little to even understand what being anxious is, which makes it really hard to help her through it. So I’ve been searching for books and toys to help her not only understand what makes her feel frightened or anxious, but also to help her ground herself if she starts to feel overwhelmed. I found some really good stuff so I thought I would write everything down in the hope it might help your anxious child too. I found out about the Worry Eater Doll when my friend posted a picture of one on Facebook. Her little girl was worried about starting preschool and so her grandma had bought her one. There’s a whole family of Worry Eaters (see them all here) so you’re sure to find one that’s dressed in your child’s favourite colour! Each doll has a zipper for a mouth, and you ask your child to write (or draw) their worries on paper and then feed them to the Worry Eater so that they don’t have to worry about them anymore. 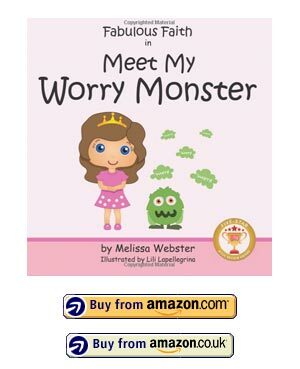 If they can’t draw or write yet you could just have your child “tell”their worries to the Worry Eater. As adults we are encouraged to write down our worries and problems so that we don’t have to carry them around in our heads, and the principle works for kids too. You can decide yourself whether you want to let the worry stay between your child and their Worry Eater toy, or whether you want to review the worries yourself. The toys are super soft plushes so they’re perfect for cuddling in bed and if your child struggles with bad dreams and usually wakes you up you can have them tell the Worry Eater about them instead! 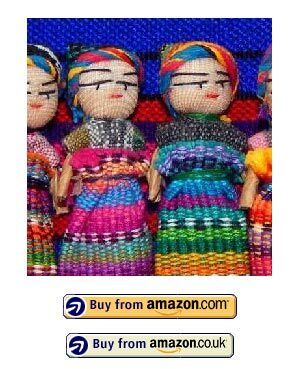 The Worry Eater Doll has won many parenting awards, but there is something that existed long before a cute and cuddly monster and that’s a Guatemalan or Mexican Worry Doll. Legend has it that a Mayan princess received a special gift from the sun god which allowed her to solve any problem a human could worry about. For centuries worry dolls have been given to sorrowful or anxious children. The child can tell all of their worries to the doll and then place it under their pillow, the next morning the doll will have taken all the worries away. Worry Dolls are teeny tiny dolls that are between a quarter of an inch and two inches tall so they are perfect for children to carry around in their pockets. 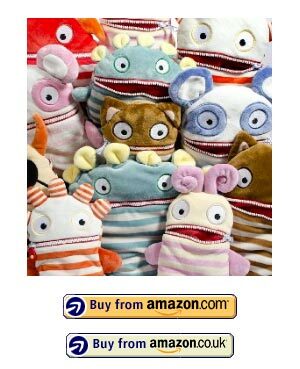 They’re perfect for small children, as well as an older child who might think a Worry Eater toy is a bit babyish. Do worry dolls work? They play an important part in modern paediatrics and child psychiatry so I would say the answer is yes. But as always it depends on your child although the good thing is they are not at all expensive so it’s worth trying them out to see. This set of worry dolls in a box would be perfect for a boy, and for a girl try this set of dolls in a bag. Just in case you’re the crafty type I found some great tutorials that show you how to make your own worry dolls. This stop motion video will give you a good idea of the process. And this tutorial shows you how to make a worry doll using pipe cleaners or clothespins. Doodlebug loves books and often reading stories is the best way for her to learn so I was keen to find some good books to help her understand her anxieties. There are so many books about worrying and anxiety aimed at children as well as parents but I managed to whittle the list down to these worry books kids should find useful. This book has won a Mom’s Choice Award and it’s easy to see why. 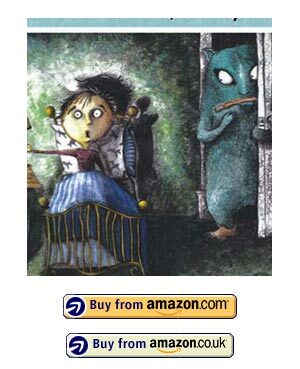 In the book Faith has a worry monster (who she names Stan) who tries to keep her from having fun at school. Faith realises that she has a super power (her mind) that she can use to defeat Stan and the book is all about how she does just that. This one got mixed reviews on Amazon. One parent said she was worried that after reading it her child would start to worry about what would happen if an elephant did come to tea. 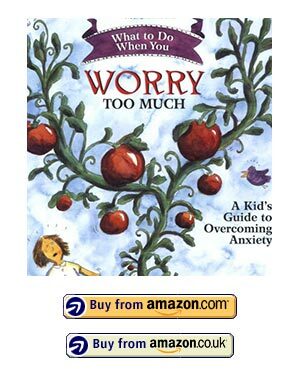 The point of this book though is that the worries are deliberately silly and highly unlikely to ever happen, because the truth is that many of the things we worry about never happen and that is the learning point your child needs to help them deal with their anxieties. This one is aimed at 8-12 year olds so it’s too old for us right now but I wanted to share it with you because it is highly praised by parents and mental health specialists. It talks about the positives of getting rid of worries, like having more time to spend with your friends instead of sitting home worrying, and also shows your child the strategies they can use to overcome their anxieties. For young adults this book comes highly recommended. 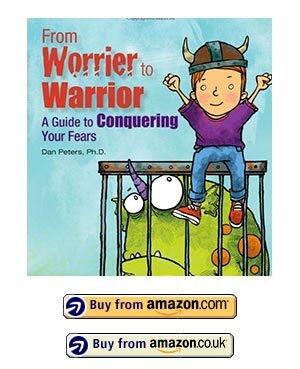 It’s packed full of strategies your child can implement themselves when they start to worry. This book is the companion to the previous book and is for us the parents. It is an easy read, which is good because so many books on anxieties require you to have a psychology degree to understand them! 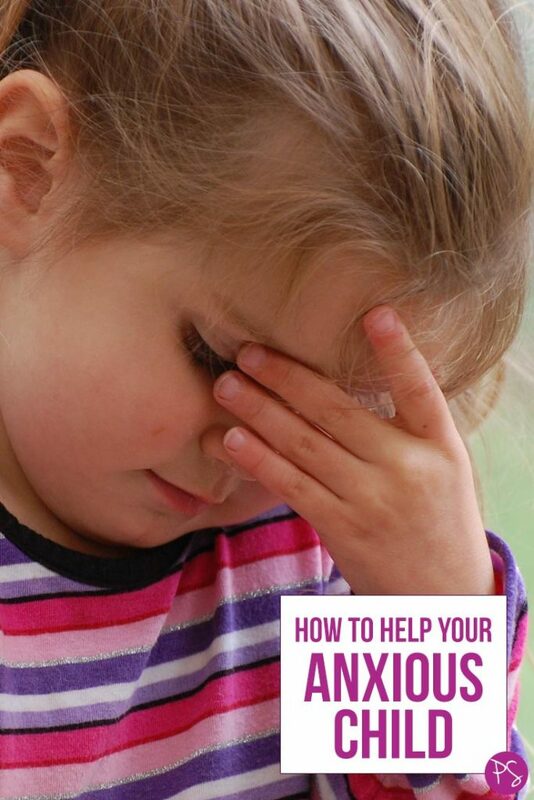 It is full of practical steps you can take with your child to help them work through their anxieties. There is a whole set of books based around the WorryWoo Monsters and Don’t Feed the WorryBug is the one that talks about worries and anxieties. The whimsical illustrations mean this is a good book for toddlers while school age children will still learn a lot from the messages inside. 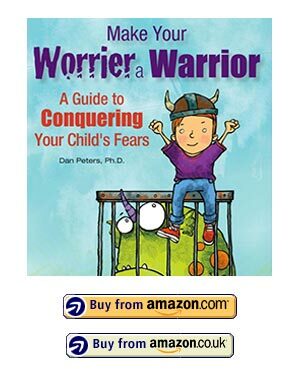 Inside the book is a page where your child can draw their own WorryBug! 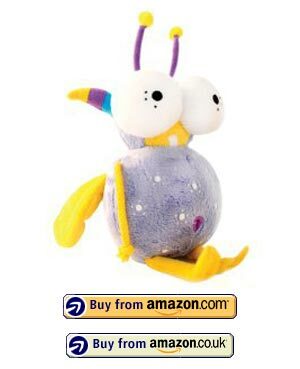 There are plush toys to accompany the series including Wince the Monster of Worry and of course the WorryBug himself! There are so many books and toys on sale aimed at helping your anxious child, these were the best ones I found when I was researching for our daughter so I hope you find this list useful. Next PostNext Healthy Sandwich Alternatives: Lunch Box Ideas the Whole Family Will LOVE!